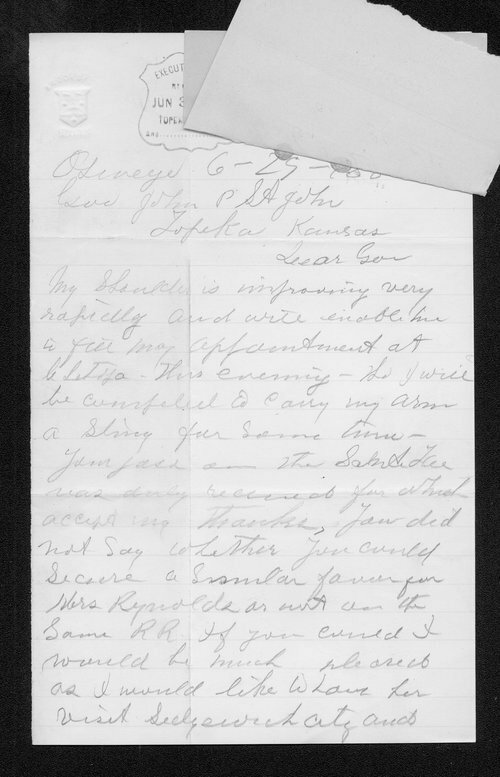 A letter expressing appreciation for railroad passes sent him by Kansas Governor St. John, E.B. Reynolds complains the Governor did not include passes for his wife. He does favor the Governor's re-nomination and thinks his prospects look good.